Tubal reversal surgery is on the rise due to its high success rates and quick recovery time. With the increase in tubal reversal patients, we are seeing increased reports of couples having more than one child after the procedure. Unlike in-vitro fertilization (IVF), tubal reversal surgery permanently restores a woman’s fertility, meaning she can get pregnant as many times as her body will allow her to after the procedure, even if it’s been years since her last conception. This is an important possibility for women thinking about tubal reversal surgery to consider. If only one child is desired, a reliable contraception method may be necessary to prevent your family from unexpectedly growing even larger. Speak with your doctor about your family plans and discuss birth control options after tubal reversal surgery if you don’t desire additional children. Educate yourself as much as possible and take the appropriate measures to guarantee no surprises years after your tubal reversal surgery. Unless, of course, you are the type that looks forwards to life’s little surprises! 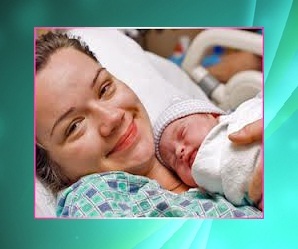 This entry was posted in Uncategorized and tagged Additional Children, Surgery, tubal reversal. Bookmark the permalink. ← Does Medicaid Cover Tubal Ligation Reversal?